What the hell is an Alan Zoltie? The ‘but wait’ is the hook, the freebie, the add-on, the extra, the part we need to listen carefully to before we decide that our lives would be completely unfulfilled unless at that very precise moment, after we hear the greatest deal on the planet, we don’t all rush to pick up our phones, get on our computers and order immediately! “But wait, do you think we are stupid? You MUST call within ten minutes or all our product will be gone!” Yeah, right! And so it goes on. Last night in particular, between the hour of 6 PM and 6.30 PM, if I was the true consumer that America suggests I might be, I could have purchased, a top that goes on every bottle to make it into a drinks dispenser, a hose that shrinks up to nothing and expands to 75 feet, depending on whether it was in use or not, a tortilla shell baker tray, to make perfect mexican food and a gadget to make me hang pictures in a perfectly straight and regimented fashion. All things that I, a typical American, cannot live without. The only issue being, what would I do with all the extra’s they were going to give me for nothing? In other words, just like most US restaurant chains, too much is not always a good thing. And digressing for a moment, and on the subject of food. There is a local restaurant that is advertising the following. “Come in tonight, buy dinner and we will give you, free of charge, another dinner, to take home and bake for tomorrow night’s meal” The issue I have with that is, that most people see that as a superb deal, I however see it as complete gluttony. Why not half the price and give me a meal that’s really inexpensive and portion sizes that will not make me overly obese? Back to the infomercials…. 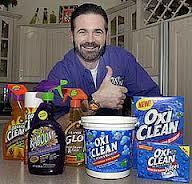 Have you ever bought any of these advertised useless products? None of them ever work! That’s why they opened stores called “As Seen On TV” They cannot sell the products on TV, so retails stores have become another outlet to try to pass of useless gadgets to we, the most believing audience in the world. What President said, “Never underestimate what the American people will buy” or words to that effect? Who ever he was, I am voting for him! He got it absolutely right. If one person changes your life, are the changes they made life changing? What happens to the me I was before the me I am now? Can you justify an injustice when justice is unjustified? Is gratitude something you learn or is it something that teaches you how to learn? If actions speak louder than words, why is it that doers are so vocal? 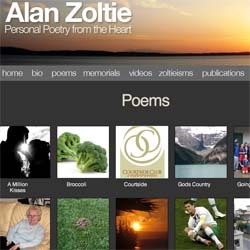 What is an Alan Zoltie? Please visit my poetry site!